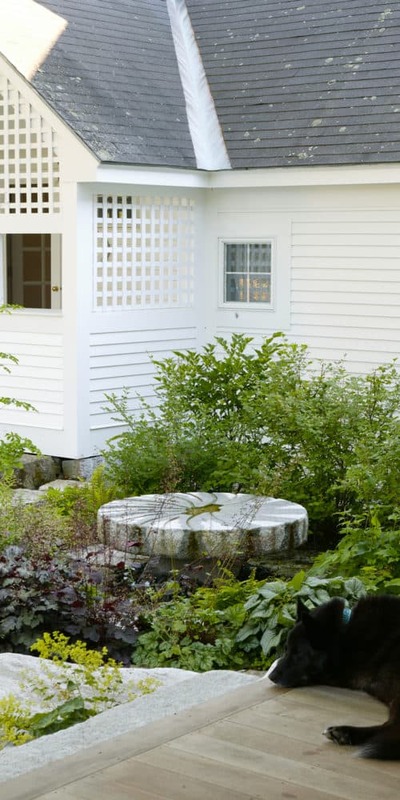 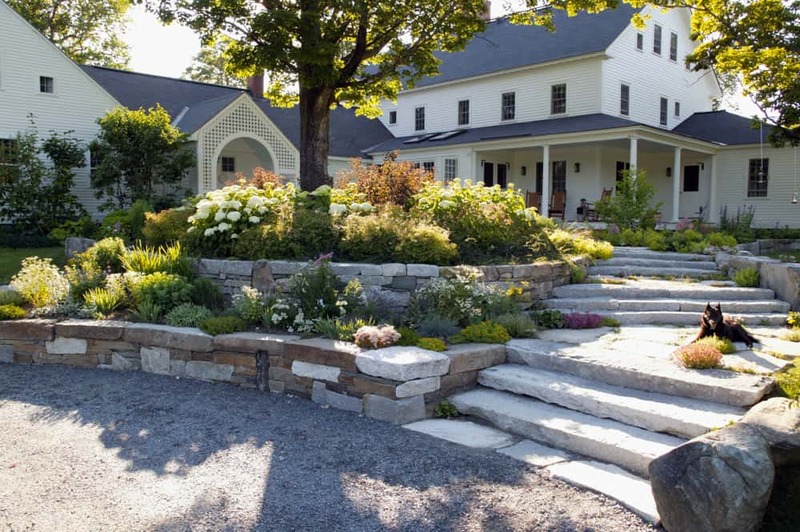 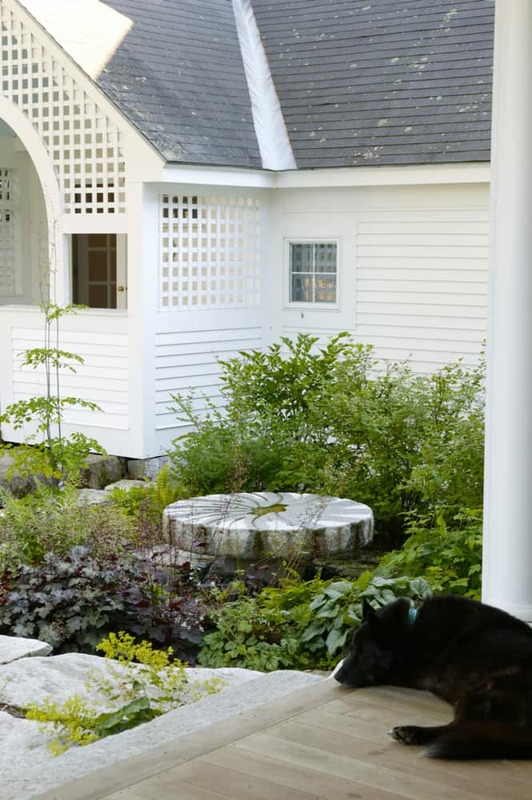 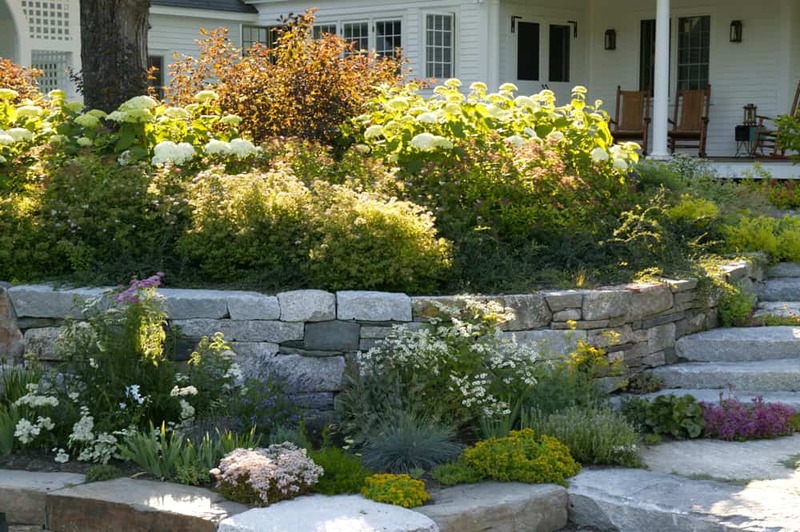 JMMDS created a new drive court, entry stairs, and herb terrace to complement a new addition to an old New Hampshire farmhouse. 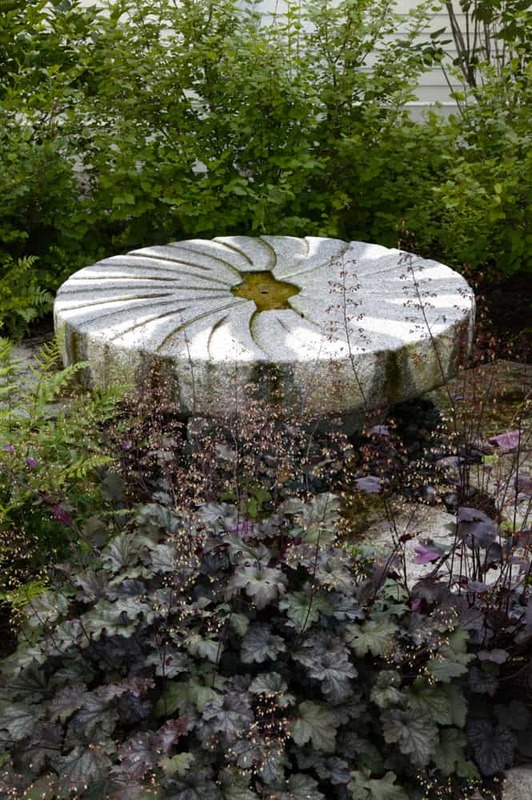 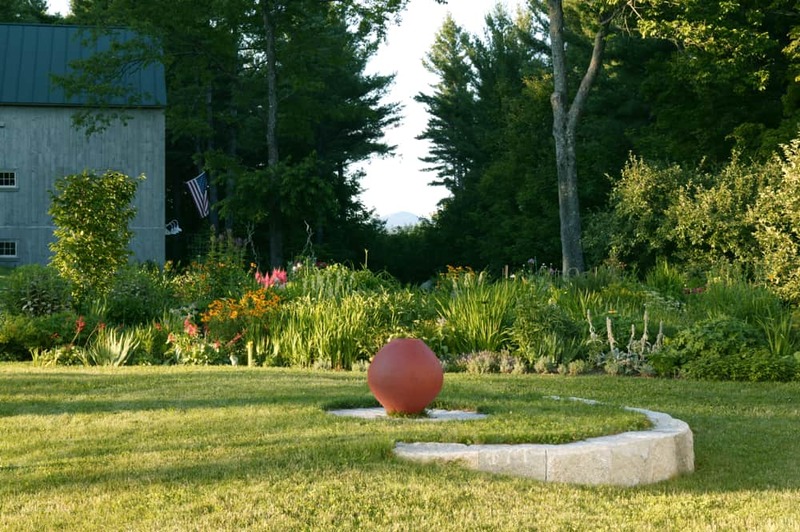 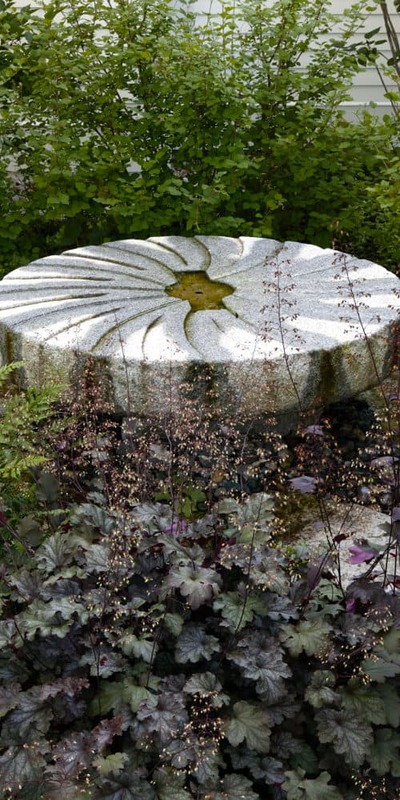 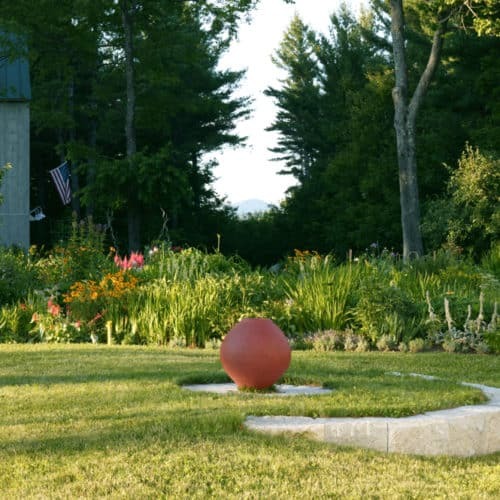 We reoriented the axis of the vegetable garden toward a view and created a “turning point” for a handsome pot whose lines mimic the mountain peak beyond. 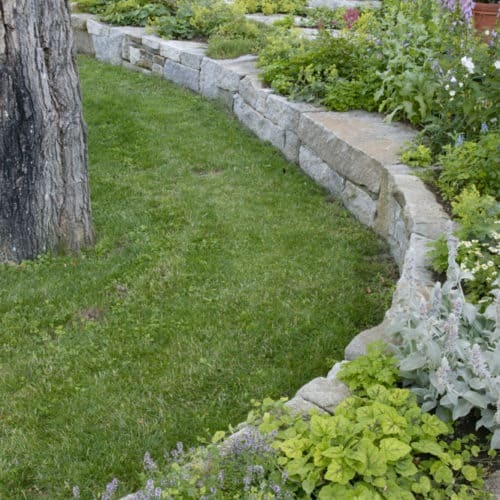 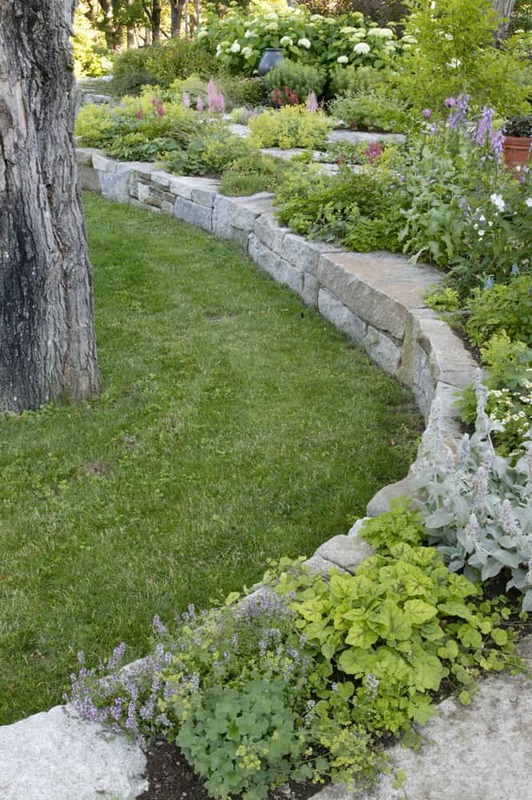 A retaining wall along the back of the new addition makes space for a bocce court and lawn. 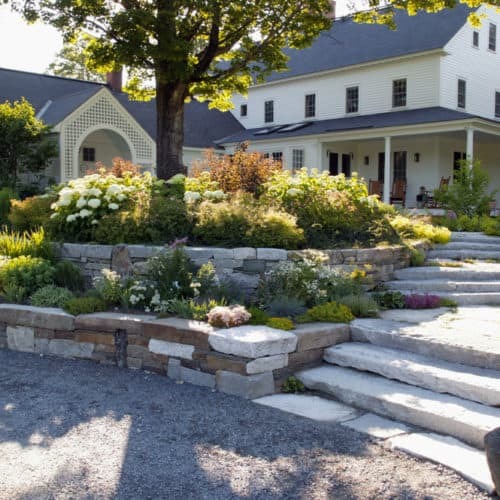 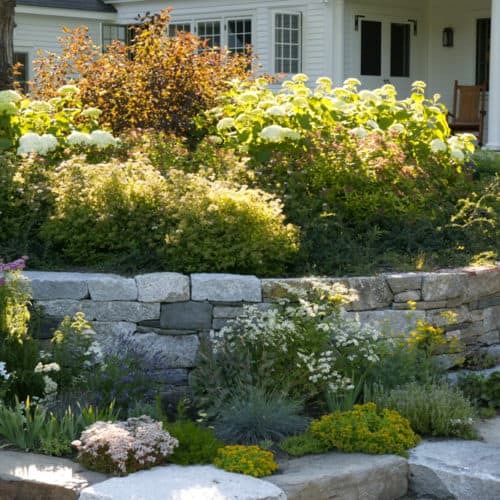 All stonework created with Bethel White granite from Bethel, Vermont.